Home > Free Samples Australia > Freebies for Home > Receive Free CardSharp Foldable Knife!! Receive Free CardSharp Foldable Knife!! Amazing how a cardship can hold a nice knife. Two in one is always good to have. A foldable knife to carry with you safely in your pocket, wallet or bag. You can use it to open your post boxes, and other things you struggle to open easily. To order your cardship foldable knife, click on “go to offer button” and complete the online form. Enter your current country and zip code to avoid problems of delivery. In less than twenty four hours you will receive a conformation email of your order. Don’t forget to share the offer with your friends! Request Bepanthen Ointment Free Kit! 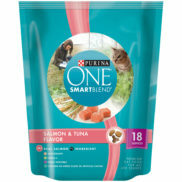 Get a Free Sample Bag of Purina One Salmon & Tuna Dry Cat Food! !